The UPMC health system will end its in-network coverage of Highmark Medicare Advantage members on June 30, 2019, according to a recent Pennsylvania Supreme Court ruling that reverses a lower court's order that granted coverage through 2019. Pennsylvania consumers have been caught in the middle of a spat between the state's largest health system and insurer involving the expiration of consent decrees signed five years ago. The breakup began in 2012, when UPMC and Highmark agreed to end Highmark members' in-network access to UPMC facilities by the end of 2014. Then in mid-2014, the organizations signed consent decrees that extended access through June 2019. Early this year, Highmark and state officials lobbied the Commonwealth Court that Highmark Advantage members should be covered through 2019 because Medicare contracts span the calendar year. But the Supreme Court ruled Wednesday that a six-month run-out provision in the consent decrees "satisfies UPMC's obligation to contract for in-network access to its facilities for Highmark's MA plan subscribers through June 30, 2019." UPMC lauded the ruling in a statement while Highmark said it was disappointed. 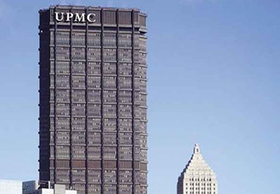 In June 2019, seven UPMC hospitals, outside of the Children's Hospital of Pittsburgh, will exit the Highmark network, while the children's hospital will continue to be part of the network through 2022. UPMC's Mercy in Pittsburgh exited the network in 2016. Highmark and UPMC are pitted in an arms race as they look to maintain a competitive edge in the rapidly consolidating Pennsylvania market. Highmark's Allegheny Health Network hospital chain has been preparing for its upcoming divorce with UPMC through partnerships with Penn State Health in Hershey, Pa. and Danville, Pa.-based Geisinger. UPMC formed a joint venture with Reading Health System and merged with Harrisburg, Pa.-based PinnacleHealth.